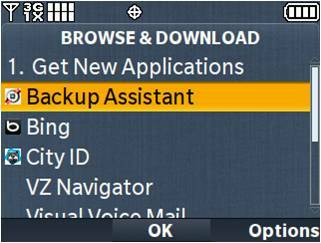 You can find Backup Assistant in the application store on your device. 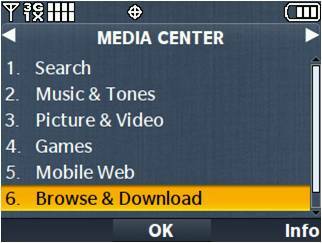 Depending on your device model, the store may be called Media Center or Get It Now®. Open the main menu of your device to find out which store you have. Note that the colors and background will vary. 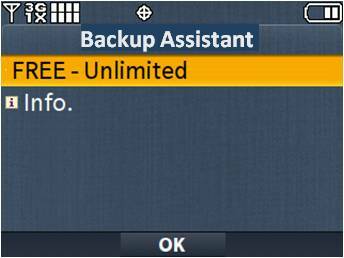 Otherwise, you need to download Backup Assistant first. Press the OK or Center Select key to start the download. 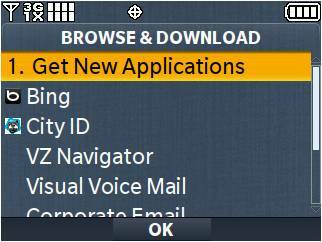 When the download completes, select Yes to run the application. Continue to the Set up Backup Assistant section below. 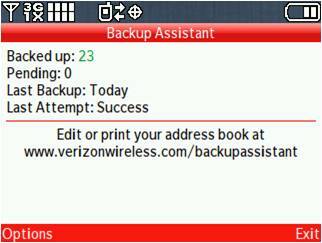 You will be prompted to enter the four- to eight-digit PIN you created when you activated Backup Assistant. 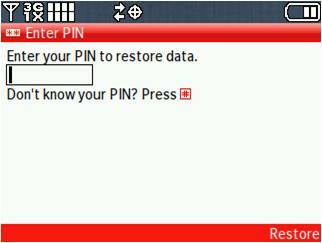 If you forgot your PIN, press the # key to have it sent to your device. 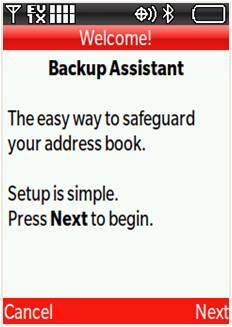 Any contacts on your device will be saved to the secure Backup Assistant server, and your address book will now be protected. The application will back up changes to your address book daily. When you switch to a different device, simply activate Backup Assistant on your new device to automatically restore all your contacts.